Kentucky Gov. Matt Bevin said he hoped to avoid weighing in on the confrontation between students at Covington Catholic High School and activists in Washington D.C, but took to Twitter on Tuesday to criticize “liberals” who were upset by the controversy. Over the weekend, a video surfaced showing a group of Covington Catholic students in “Make America Great Again” hats jeering, chanting and laughing at Native American activist Nathan Phillips, who calmly beat a drum and sang a prayer. Videos released later showed that another group — the Black Hebrew Israelites — had hurled insults at the students before Phillips is seen walking toward them. After remaining silent on the incident over the weekend, Bevin posted a series of tweets that criticized “liberals” who decried the students’ actions. 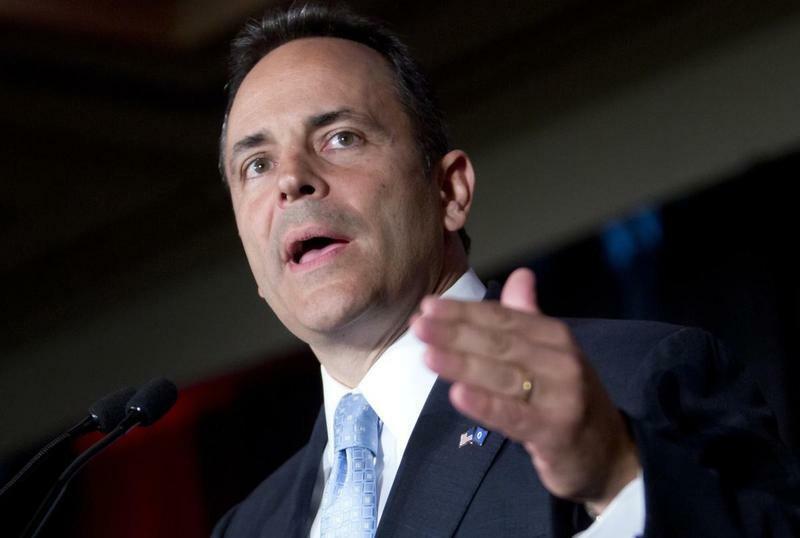 “It was amazing how quick those who preach tolerance and non-judgment of others were to judge and label some high school students based on partial information…There are none more intolerant than liberals who don’t like your options, values, faith beliefs, political stance, etc,” Bevin wrote. Nick Sandmann, a student who can be seen silently smirking at Phillips in the video, issued a lengthy statement on Sunday saying that the initial video mischaracterized the confrontation. “You’re surrounded by people with cameras and you have individuals who are hurling insults and epithets at you and that’s an uncomfortable situation to be in, especially when you’re in a city that you’ve probably never been in and you’re eight or nine hours away from home,” Koenig said. Over the weekend, U.S. Rep. John Yarmuth, Kentucky’s only Democrat in Congress, called the students’ conduct “racist” and blamed it on President Trump. “The conduct we saw in this video is beyond appalling, but it didn’t happen in a vacuum. This is a direct result of the racist hatred displayed daily by the President of the United States who, sadly, some mistake for a role model,” Yarmuth said on Twitter.